Since the automobile was invented, businesses and enthusiasts have been putting their mark on their vehicles. In the 1900s, the first automobile used paint to advertise a brand. Other more embellished designs, such as images and faces, followed. Originally, painting was the only choice. But, more durable, flexible and eye-catching designs hit the scene later on. 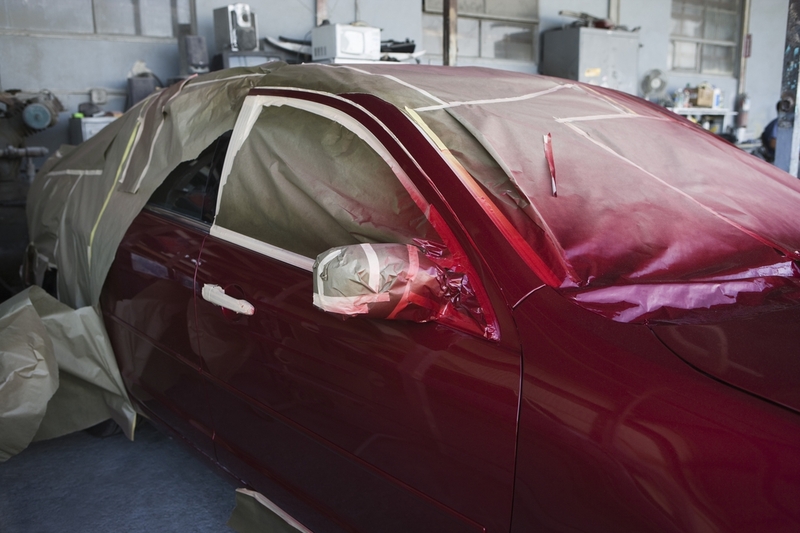 For over 50 years, paint has reigned supreme when it comes to revamping and promoting vehicles. But by the late 1950s, a new material has come to light and has changed the world of car graphics forever – vinyl chloride. Invented in 1926, it is a multipurpose material found in many day-to-day products. This plastic-like material can be thick or thin, firm or flexible, and can form any color possible. Where did vinyl chloride come from? 1926 – It was accidentally discovered by Goodrich Corporation, formerly known as BF Goodrich Company. Since then, it has created various products, factories and jobs in the United States. As for the mobile industry, vinyl has facilitated so much growth. 1980s – At first, only large companies such as the US Air Force could afford vinyl graphics. But by the 1980s, production costs and die-cutting technology made the material affordable enough for small businesses to letter their vehicles without paint. Early 1990s – Colorful die-cut vinyl became the primary method of marking vehicles with logos and lettering for large businesses. Late 1990s – New technologies allowed for printing on vinyl with wide-format electrostatic printers. However, only large companies could also afford them and only limited design, color and image quality are possible. Only a few companies experimented with vehicle wraps, but with little success. 21st century – Start-ups have begun to purchase the necessary equipment to print on large format vinyl and have made more striking designs. The vinyl wrap was invented using piezoelectric inkjet printers, large format graphic design software, and computers. 2010s – For the past ten years, technology has been improving. Vinyl wraps are quickly taking over custom paint jobs and die-cut lettering. At present – The practice of designing, printing and installing vinyl graphics has become a streamlined process. It involves training, experience and certifications. Thriving in the United States, the industry continues to innovate with better products, strategic printing and installation, and more stylish designs. Vehicle graphics was utilized back in the late 19th century. In the 1880s, an automobile was used to advertise some of the biggest brands. At the present, it is not uncommon to see buses, taxis, boats and even trains to use a graphic advertisement. The technology used to create car graphics has become more advanced than ever before. The history of vehicle wraps have come a long way. Originally available to only large businesses, the material now caters even to small enterprises. Leveling the playing field between small and large players in any industry is only one of the great advantages of using vinyl ready designs. Some vehicles are dedicated marketing mediums, generating lots of views and attention. Others use graphics simply to stand out from the rest.